Due to continued growth across Africa, BlackBerry are looking for an experienced Carrier Marketing Manager to focus on supporting the West Africa region. 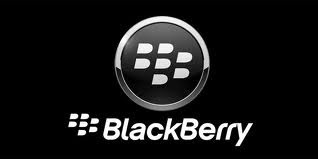 Based out of Lagos where BlackBerry have recently opened offices, this role will take responsibility for the design and implementation of a robust marketing strategy that supports BlackBerry business objectives relating to carrier channels across West Africa. The role will require strategic planning with each of the major carrier channels across the region and the development of an agnostic marketing plan per channel to ensure incremental run rate opportunities for BlackBerry with each carrier. This position takes responsibility for the achievement of BlackBerry business objectives as set out for the channels. (e.g. pin first seen/net activation) and managing Channel Program effectiveness – Channel mapping, ROI, market share and category leadership. One of the key aspects of this role is ensuring the full integration of global BlackBerry marketing plans in to the carrier marketing plans with jointly agreed objectives. The Carrier Marketing Manager will also be responsible for building and managing relationships with key customers within the specific channels as well as relevant Carrier Channel Marketing Managers in order to increase mindshare/ awareness/ market share in regard to BlackBerry’s relationship visibility in market. A full job profile will be made available to shortlisted applicants. Business/ marketing degree / senior marketing qualification or equivalent experience. Mobile / wireless industry experience. The role requires someone to be able to 'hit the ground running' - therefore telecommunications experience is a prerequisite. Experience relating to handset to software to solution provision, telco and/ or I. T.
Pertinent market knowledge and industry contacts highly desirable - specifically retail market channels across West Africa. Prefer if candidate has dealt across a number of international territories or previous multinational experience. Sensitivity and experience in dealing with North American & European business culture desirable. Can demonstrate understanding of the interconnectedness of marketing and sales disciplines. Financial acuity - experience of zero-based budgeting i.e. can formulate and negotiate a budget and achieve it accurately. Strong diplomatic skillset in order to navigate the existing internal stakeholders to obtain support and alignment as you carve this new role. Labels: Blackberry is recruiting, carrier marketing manager, Lagos.